 The Illegal Wildlife Trade (IWT) is the illegal trading of species both plant and animal which threaten the survival of species in their natural habitats. Trade is often carried out due to demand for animal body parts for example for some traditional medicines, for food and for the pet trade.  IWT is also a threat to national and regional security. The networks that support it are often the very same that enable money laundering, modern slavery, weapons, drugs and people trafficking and the United Nations has recognised these clear linkages.  The UK is taking a leading role in the fight against IWT. It has already set itself as a global leader on this issue, by bringing together global leaders in 2014. The UK has already committed to significant funding of £18.5 million to help combat IWT.  In spite of progress by the UK and other countries we remain at a crisis point: Levels of poaching for many species remain unsustainably high and organised criminal networks continue to benefit from the proceeds of the trade.  Rhino poaching is increasing: In 2007, 13 rhinos were poached in South Africa; in 2015 that number rose to 1,175, out of a global population of fewer than 30,000.  Everyday 55 elephants are killed. This translates to one elephant every 26 minutes.  The reclusive and timid pangolin – the world’s only scaled mammal, found in Africa and Asia – is the world’s most illegally-traded mammal. The animal itself is eaten and the scales are thought to have medicinal value.  A third of parrot species are facing extinction in South America, caused mainly by the illegal pet trade.  Rosewood is the most illegally traded plant species in the world threatening the sustainability of native populations.  IWT is worth up to £17 billion a year globally, it is a highly organised, sophisticated criminal industry.  The value of wildlife increases exponentially as it makes its way from source to market: a poacher might receive £35 for a live chimpanzee which would sell for £14,000. Conservative Animal Welfare Foundation talked on the forthcoming Illegal Wildlife Trade Conference at our joint fringe reception’ Brexit: Opportunities For Animal Welfare and the Environment’ with Conservative Environment Network at the Party Conference on 1 October at the Hyatt Hotel in Birmingham. Our Patron Zac Goldsmith MP hosted the reception. 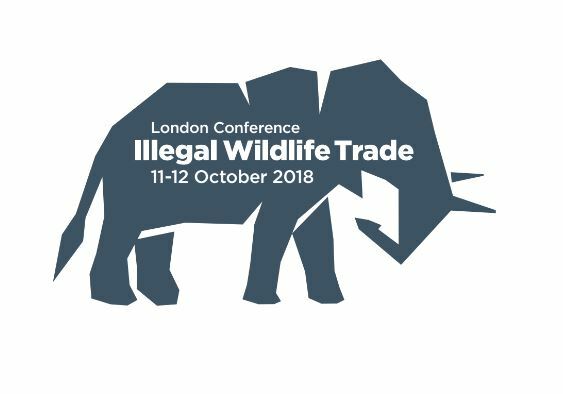 Zac is the Illegal Wildlife Trade Champion for the conference in London. Speakers on the illegal wildlife trade also included Minister Dr Therese Coffey and Lorraine Platt, our Co- founder and Board Director of Save The Asian Elephants charity.